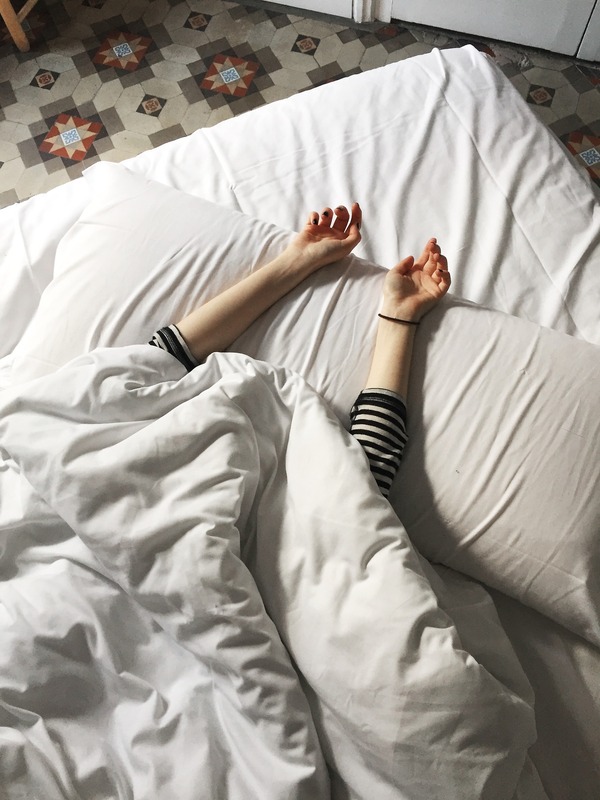 Our guests’ sleep is very important for us at yök because we know that getting a good night’s sleep in hotel beds can be tricky. 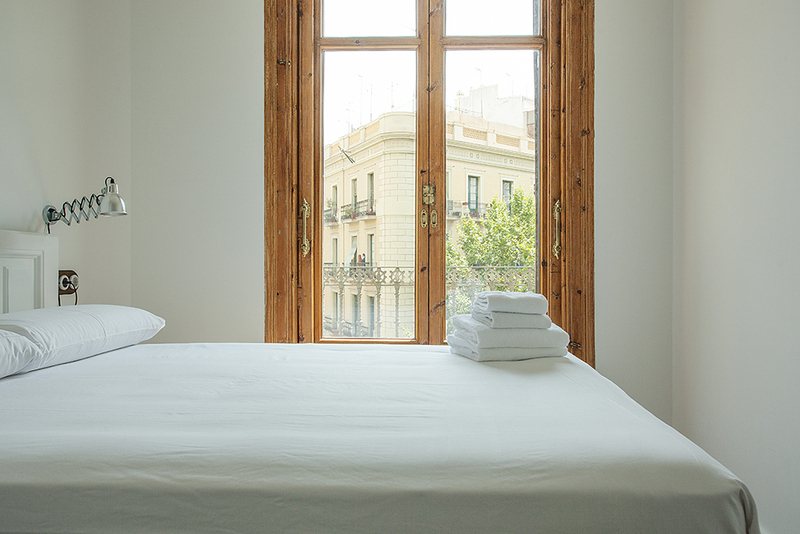 We invested a great deal into making the bedrooms super comfy and healthy: fat, luxury mattresses, made from 100% natural ingredients here in Catalonia, are our top feature. Next is lighting! The original wooden sliding balcony doors from 1900 come with wooden panels to make the room pitch black or adjust the light to your liking. Reading lights on each side of the beds allow one person to read without affecting the other person’s sleep. We also installed double glazing as well as different noise and temperature blocking materials into the walls to keep noise and heat/cold out of the room. We have ear plugs in the first aid kit for those very sensitive to noise (like the possible snoring from a travel companion). Something that helps getting a good sleep is to unwind before going to bed. We suggest sharing a nice cup of herbal tea or a glass of wine from our larder with your friends on the balcony before getting into bed with your favourite book or one from our library. It is best to leave your mobile phone in the living room. Breath in the night air over the trees in the street and say thanks for something nice that happened to you during the day; the sun in your face, a new favourite tapas bar you discovered or a smile from a stranger. Last but not least our rooms were painted with VOC-free (non-toxic) paint and we avoided adding textiles like curtains and rugs to make the rooms as suitable as possible for people prone to allergies. 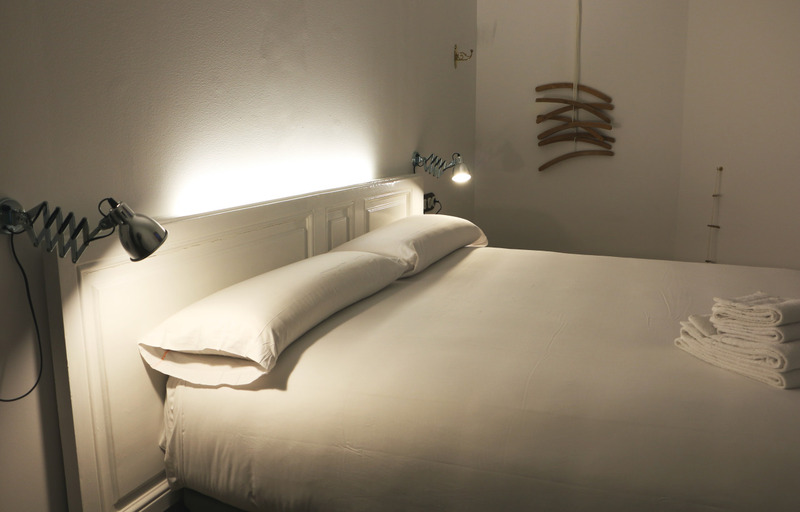 All our rooms have natural light and ventilation, stunning mosaic tiled floors dating back to the late 19th century, energy-efficient and silent AC/heating, and, a simple, non-cluttered look and feel.